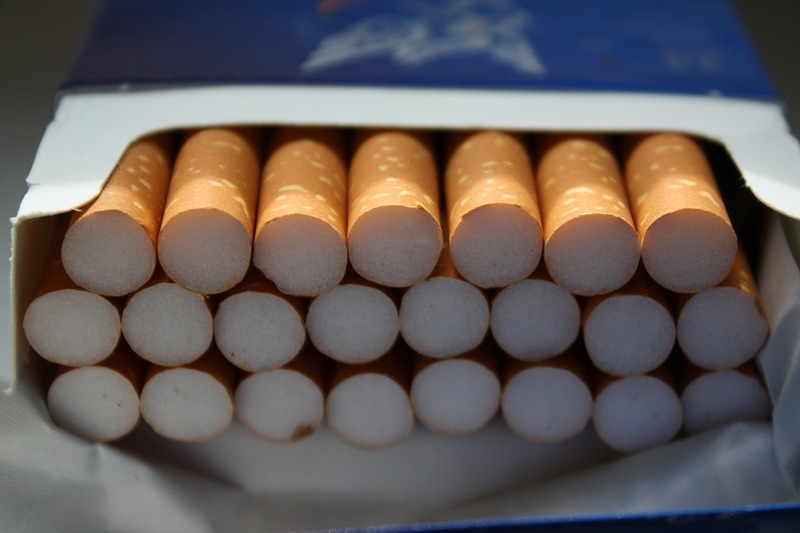 Sciblogs | Will liberalising nicotine availability increase quitting? Will liberalising nicotine availability increase quitting? Do the New Zealand (NZ) Government’s proposed changes to liberalise the e-cigarette market set out a robust process for helping people who smoke to switch to e-cigarettes? In this blog, we discuss the proposed regulatory changes and explain some of the complex practices smokers must adopt when commencing vaping. We suggest limiting supply of nicotine e-cigarettes to specialist vape stores and pharmacies, to ensure people wishing to quit smoking can obtain expert advice and thus maximise their chances of quitting. We also argue that, at the same time as liberalising access to nicotine e-cigarettes, the Government should restrict access to tobacco, which remains available at thousands of retail outlets throughout NZ. The Government has recently announced that it intends to change the current law to “legalise the sale and supply of nicotine e-cigarettes and e-liquid as consumer products”. This decision reflects general scientific agreement that vaping (use of e-cigarettes and vaporisers to obtain nicotine) is likely to be less harmful than smoking tobacco when smokers make a full transition from smoking to vaping (1). It also recognises that nicotine e-liquid is widely used, despite current restrictions. The Cabinet paper provides more background and explains that “no restrictions are proposed on where e-cigarettes can be sold so this would include, for example, dairies, service stations, supermarkets etc” (point 46). This proposal would mean that nicotine-containing e-cigarettes are as easy to access as combustible tobacco, thus enabling smokers to purchase an e-cigarette rather than tobacco. While there is a surface logic to this proposal, we suggest closer scrutiny highlights at least two potential flaws: first, that smoked tobacco should continue to be widely available and, second, that potentially addictive nicotine e-cigarettes are to be as widely available as ordinary consumer products, and sold alongside these. The fact that smoked tobacco may be purchased from more than an estimated 6000 retail outlets remains one of the greatest public health travesties of our time. At present, anyone may sell tobacco, and do so from any outlet; retailers are not required to list on a register of tobacco sellers, let alone obtain a licence before selling a product that will kill two in three of its long-term users (2). This situation is clearly not compatible with the Government’s stated aim that NZ become an essentially smokefree nation by 2025. Reducing the supply and availability of tobacco to minimal levels is a central component of the 2025 goal (3) and NZ modelling work favours retail reduction interventions (4,5). Rather than make e-cigarettes as readily available as smoked tobacco, the Government has a crucial opportunity to reduce the supply of smoked tobacco, an approach that would enable it to proceed cautiously with liberalising nicotine e-cigarette sales. Limiting the sales of tobacco products to R18 (or R21) outlets could dramatically reduce tobacco availability (6). At the same time, allowing the sales of e-cigarettes from specialist vape stores and pharmacies, would send a clear message that tobacco is no ordinary product. At the same time, making e-cigarettes and nicotine e-liquid available from specialist vape stores and pharmacies would limit young people’s exposure to these products while providing smokers with access to expert advice on using a potential new smoking cessation product. Separating the sale of tobacco and e-cigarettes would reduce smokers’ inadvertent exposure to cues that could undermine their motivation to quit and even prompt relapse. There is good evidence that smokers find exposure to tobacco products and outlets cues cravings (7-9). Selling e-cigarettes alongside traditional tobacco products will likely expose smokers to tobacco cabinets and other familiar visual cues known to prompt impulse purchase of tobacco products. Allowing e-cigarettes to be sold at dairies, service stations and supermarkets implicitly assumes that purchasing an e-cigarette is analogous to purchasing any of the other fast-moving-consumer-goods available from those outlets. Yet our recent work reporting on vapers’ experiences suggests successfully moving from smoking to vaping involves changing complex and multi-faceted practices (10). Even with R18 sales restrictions, selling e-cigarette alongside low-involvement consumer products overlooks the complex transition smokers must make, if they are to quit smoking using e-cigarettes. In the worst case, smokers may find the e-cigarette they purchased ineffective and relapse to smoking. Other sub-optimal outcomes, including dual use (smoking and vaping), also exist. While precise definitions of dual use vary, many smokers appear to continue smoking after having started using an e-cigarette regularly. Even if they reduce the number of cigarettes they smoke, smokers will only realise the full benefits of moving to vaping if they quit smoking altogether (11-13). Developing distribution strategies that promote this full transition are thus crucial to achieving the 2025 goal. We outline below some of the factors smokers need to consider when purchasing and using an e-cigarette, and explain why ensuring expert advice at the point of sale is crucial if e-cigarettes are to promote successful smoking cessation. Smokers often develop important practices around smoking that they will need to replace if they are to quit smoking using an e-cigarette (14); these practices may include preparing the cigarette they go on to smoke, or specific initiation and extinguishment rituals. When moving to vaping, smokers may seek a specific “mouth-feel” or want to reproduce a particular “hand feel” (10,14). They may want to experience a certain “throat-hit” and style of vapour, and may seek flavours that either replicate associations with smoking or offer completely different experiences. Developing new practices and rewarding experiences may be crucial in determining how easily smokers find they can replace smoking with vaping. Expert advice at the point of sale will help people who smoke identify a device that supports valued practices and satisfies their sensory needs. Many smokers also need advice on identifying an appropriate nicotine level in their e-liquid; too little, and vaping will not satiate their nicotine cravings, but too much, and they may experience feelings of nausea, headaches and dizziness. Because smoking a cigarette is a time-bound and finite experience, vaping may be unsettling as sessions often lack defined beginning and end points (10). Smokers may thus also need advice on how to manage cravings without developing practices that increase their nicotine intake and addiction. They may also need practical advice about charging their e-cigarette, and cleaning and replacing atomisers, to ensure their device is available and delivers a satisfying experience. It is not clear how retail staff with no experience of vaping or knowledge of addiction will help smokers determine which device and e-liquid best suits their circumstances. Given that adopting vaping requires smokers to make multiple choices, each of which is likely to affect the success of their transition, it seems crucial that they receive advice from people with relevant expertise. When tobacco products were removed from open display in retail outlets, tobacco companies and retailers raised concerns that transaction times would be extended. Although not borne out in relation to removal of point-of-sale displays (15), these concerns seem germane to measures that would require retailers to give advice, compare and contrast devices, recommend nicotine levels and flavours, and teach users how to prepare and maintain their devices. Limiting sales of nicotine delivering e-cigarettes to specialist vape stores and pharmacies would help ensure people with relevant expertise and time are available to advise smokers and maximise the likelihood of successful smoking cessation. Ideally, the Bill allowing sales of nicotine-delivering e-cigarettes will limit distribution to outlets such as pharmacies and specialist vape stores; the former are licensed and regularly monitored, and a similar scheme could be introduced for the latter. These outlets are most likely to have the expertise to offer smokers advice that promotes successful smoking cessation using e-cigarettes, and supports movement from vaping to being nicotine-free. Appropriate cautions could also be introduced at the Select Committee stage, where new regulations, including retail availability, will be established. More generally, the introduction of nicotine-containing e-cigarettes presents a pivotal opportunity to reduce the supply of smoked tobacco (e.g., by adopting a sinking lid on tobacco retail licenses or by limiting tobacco sales to pharmacies only (16)). Doing so would create a strong imperative for smokers to switch fully to a less harmful form of nicotine while recognising the serious hazard posed by combustible tobacco. Shahab L, Goniewicz ML, Blount BC, Brown J, McNeill A, Alwis KU, et al. Nicotine, Carcinogen, and Toxin Exposure in Long-Term E-Cigarette and Nicotine Replacement Therapy Users: A Cross-sectional Study. Annals of Internal Medicine. 2017;166(6):390-400. Banks E, Joshy G, Weber M, Liu B, Grenfell R, Egger S, et al. Tobacco smoking and all-cause mortality in a large Australian cohort study: findings from a mature epidemic with current low smoking prevalence. BMC Medicine. 2015;13(1):38. New Zealand Government. Government Final Response to Report of the Māori Affairs Committee on Inquiry into the tobacco industry in Aotearoa and the consequences of tobacco use for Māori, presented to the House of Representatives in accordance with Standing Order 248 (J.1). New Zealand Government, Wellington 2011. Pearson AL, Cleghorn CL, van der Deen FS, Cobiac LJ, Kvizhinadze G, Nghiem N, et al. Tobacco retail outlet restrictions: health and cost impacts from multistate life-table modelling in a national population. Tob Control. 2016;(E-publication 22 September). doi: 10.1136/tobaccocontrol-2015-052846. PubMed PMID: 27660112. Pearson AL, van der Deen FS, Wilson N, Cobiac L, Blakely T. Theoretical impacts of a range of major tobacco retail outlet reduction interventions: modelling results in a country with a smoke-free nation goal. Tob Control. 2014;24:e32-e8. doi: 10.1136/tobaccocontrol-2013-051362. PubMed PMID: 25037156. Marsh L, Doscher C, Robertson LA. Characteristics of tobacco retailers in New Zealand. Health & Place. 2013;23:165-70. Burton S, Hoek J, Nesbit P, Khan A. “Smoking is bad, it’s not cool…yet I’m still doing it”: Cues for tobacco consumption in a ‘dark’ market. Journal of Business Research. 2015;68(10):2067-74. doi: 10.1016/j.jbusres.2015.03.004. Burton S, Spanjaard D, Hoek J. An investigation of tobacco retail outlets as a cue for smoking. Australasian Marketing Journal (AMJ). 2013;21(4):234-9. Hoek J, Gifford H, Pirikahu G, Thomson G, Edwards R. How do tobacco retail displays affect cessation attempts? Findings from a qualitative study. Tobacco Control. 2010;19(4):334-7. doi: 10.1136/tc.2009.031203. Hoek J, Thrul J, Ling P. A Qualitative Analysis of Young Adult ENDS Users’ Expectations and Experiences. BMJ Open. 2017. Epub In press. doi: 10.1136/bmjopen-2016-014990. Rath JM, Villanti AC, Abrams DB, Vallone DM. Patterns of tobacco use and dual use in US young adults: the missing link between youth prevention and adult cessation. Journal of Environmental and Public Health. 2012;2012. Dutra LM, Glantz SA. Electronic cigarettes and conventional cigarette use among US adolescents: a cross-sectional study. JAMA Pediatrics. 2014. doi: 10.1001/jamapediatrics.2013.5488. Te. Schane RE, Glantz SA, Ling PM. Nondaily and Social Smoking: An Increasingly Prevalent Pattern. Arch Intern Med. 2009;169(19):1742-4. doi: 10.1001/archinternmed.2009.315. Hoek J, Ferguson S, Court E, Gallopel-Morvan K. Qualitative exploration of young adult RYO smokers’ practices. Tobacco Control. 2016. doi: 10.1136/tobaccocontrol-2016-053168. PubMed PMID: 27625410. Wakefield M, Bayly M, Scollo M. Product retrieval time in small tobacco retail outlets before and after the Australian plain packaging policy: real-world study. Tobacco Control. 2014;23(1):70-6. doi: 10.1136/tobaccocontrol-2013-050987. van der Deen FS, Pearson AL, Wilson N. Ending the sale of cigarettes at US pharmacies. JAMA. 2014;312(5):559. doi: 10.1001/jama.2014.7560. PubMed PMID: 25096703.